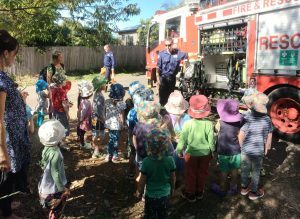 We would like to say a big Thank to the Bellingen fire Brigade for visiting Dawn Song and teaching us about fire safety and awareness. The children were given a fire safety talk before being taken on a tour of the fire truck. 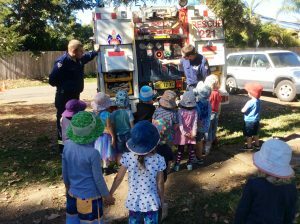 There were some awestruck faces as the firemen pulled out tools and hoses and showed the children the variety of equipment they kept in their truck for all kinds of emergencies. 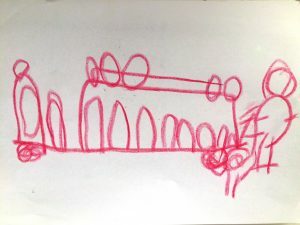 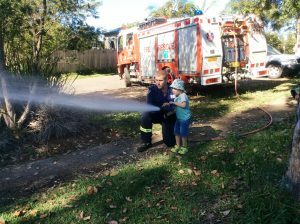 The biggest thrill by far for the day was a climb into the front seat of the fire truck followed by a squirt of the fire hose. 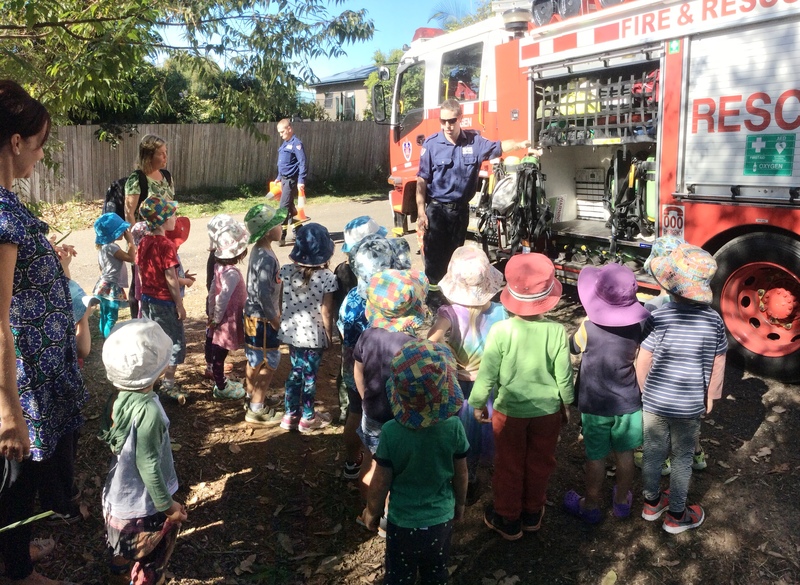 A whole lot of excitement and thanks again Bellingen Fire Brigade!